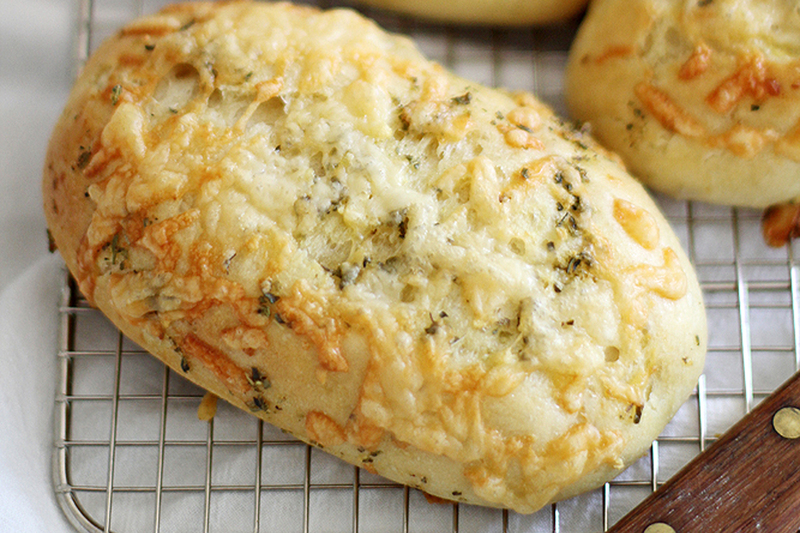 Melted Asiago cheese and a garlic-herb butter topping make these soft and fluffy homemade hoagie rolls extra delicious as part of your favorite sandwiches. In a large bowl or the bowl of a stand mixer, combine 2 teaspoons sugar and the yeast. Add ½ cup of the warm water; stir to dissolve. Let stand 5 minutes until yeast is foamy, then add remaining sugar and water, oil, 3 cups of the flour and the salt. Stir to combine. Use a sharp serrated knife to slash tops of dough about ¼-inch deep. Cover baking sheets with a tea towel or greased plastic wrap and let sit 30 minutes until dough is nearly doubled and puffy. While dough is rising, heat oven to 400°F. In a medium bowl, whisk together water, melted butter, egg yolk, minced garlic, Italian seasoning, salt, garlic powder and onion powder. 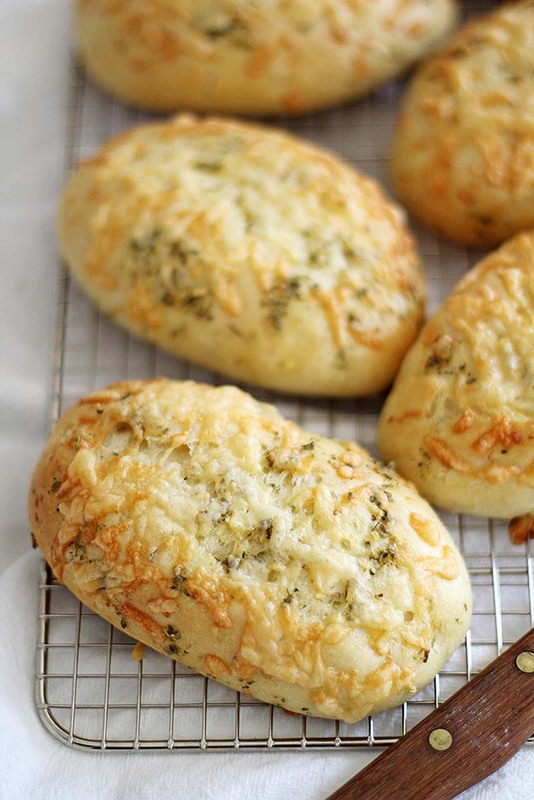 When dough is ready to bake, brush tops and sides with herb mixture. Sprinkle with the shredded Asiago cheese. Very good. Made these for two people so I did 4 hoagie, 2 hot dog, and 4 small dinner rolls. Used fresh chopped rosemary, sage, and thyme and I mixed it into the dough along with a sprinkle on top, instead of the “Italian herb and garlic”. Came out light and tasty. Must do lots more!